Karen Cook McNally, professor emeritus of Earth sciences at the University of California, Santa Cruz, died at her home in Davenport, CA, on December 20, 2014. She was 74. A noted seismologist and geophysicist, McNally was a leading authority on earthquake mechanisms and risk assessment. Born in Clovis, CA, she earned her B.A., M.A., and Ph.D. degrees in geophysics at UC Berkeley and worked with the late Charles F. Richter at the California Institute of Technology before joining the UC Santa Cruz faculty in 1981. McNally was director of the Richter Seismological Laboratory at UC Santa Cruz in 1989 when the Loma Prieta earthquake struck, killing 57 people and causing severe damage in Santa Cruz and the San Francisco Bay Area. Having recognized two earlier temblors in the region as possible precursors to a large earthquake, McNally had installed seismic instruments in the area where the San Andreas fault ruptured on October 17, 1989. 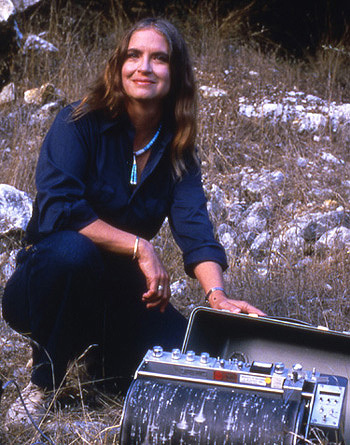 Thanks in part to her efforts, the seismological recordings of the Loma Prieta earthquake and its aftershocks were the best that had ever been obtained for a large continental earthquake, and scientists were able to learn a great deal about the faults in the area and the factors that contribute to damaging ground shaking during an earthquake. McNally spent much of her career working in Costa Rica, where she helped establish a modern geophysical observatory and develop the country's program for earthquake hazard reduction. One of the most earthquake-prone and volcanically active countries in the world, Costa Rica had no ongoing nationwide seismic monitoring system until McNally helped establish a national seismographic network in 1984. In 2004, the National University of Costa Rica awarded her the University Medal for her contributions. At UC Santa Cruz, McNally founded the Institute of Tectonics and helped establish a strong research program in seismology. "She had an incredible sense of knowing who to bring and how to build a great program to really put Santa Cruz on the map as far as seismology research," said Susan Schwartz, professor of Earth and planetary sciences and director of the Keck Seismology Laboratory at UC Santa Cruz. "Her work in Costa Rica was also important, not only in establishing the national network there but also in laying the groundwork for ongoing collaborations between UCSC faculty and researchers in Costa Rica, many of whom earned their Ph.D. degrees at UC Santa Cruz." McNally served on the board of directors for the Seismological Society of America, as well as for the Incorporated Research Institutions for Seismology (IRIS). She also served on the California Earthquake Prediction Evaluation Council, which advises the governor's office and the Office of Emergency Services, and on numerous committees for the National Academy of Sciences, NASA, and the U.S. Geological Survey. McNally's survivors include daughters Kim Cook of New Orleans and Meredith Hurley of San Luis Obispo, CA; brother Jerry Einar Cook of Clovis and sister Jean Howard Brown of Novato CA; and three grandchildren. In lieu of flowers, the family requests donations be sent to UCSF, PO Box 45339, San Francisco, CA 94145 (checks payable to the UCSF Foundation and indicate B0831 in memory of Dr. Karen McNally). For more information, see the obituary in the Fresno Bee. A memorial will be held in Davenport on Wednesday, January 14, at noon in the Davenport Resource Service Center, 150 Church Street. For more information, call the center at (831) 425-8115.